Product information "K2 C8041 90° Internal Gutter Corner"
Tough uPVC angle joint for Ogee profile gutter on inward pointing rectangular corner of K2 conservatory roof. Commonly used on internal corner of P-shaped and T-shaped conservatories or where gutter is returned along a house wall. Supplied with 2 x Rubber Gasket seals (C8066) and 2 x plastic Gutter Clips (C8067) for a secure and watertight joint at either end. Pull front of gutter clip over corner peice to securely trap the gutter. 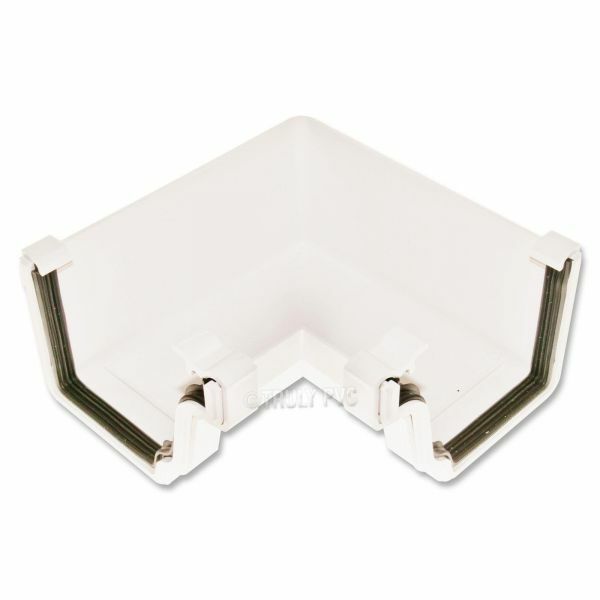 Related links to "K2 C8041 90° Internal Gutter Corner"
Customer review for "K2 C8041 90° Internal Gutter Corner"